As you may already know, one of the limitations of the PicoBrew and similar automated brewing systems, is the fermentation and serving vessels are usually a shared keg. This means that you need to purchase multiple 5L kegs and set up a serving system or wait until each beer is completely consumed before brewing again. The former gets expensive for a system you will likely look to upgrade with 2-5 gallon kegs sooner or later. The latter leaves you without homebrew for 10-14 days. However, there is a bright light shining in the middle ground. You can bottle your PicoBrew beer and store the beer while brewing more without investing heavily in a small kegging system. With a small investment of $15-$20, you can bottle your homebrew with crown capped bottles. That initial investment will give you the device to crimp the caps in place, and enough caps for ten or more PicoBrew batches. Buying a new round of 140 caps will be about $4, and bottles are reusable. First let’s look at what you need to begin bottling your PicoBrew batches equipment wise, then dig into the process. You can reuse the beer bottles from commercially made beer. There are a few caveats associated with this, however. So please bear in mind that the bottles need to have a pry off neck and not a screw off neck. If you can’t tell which is which, the neck of a screw off bottle will have threads, while the pry off style just has a smooth lip. You also don’t want to use clear or green beer bottles. Clear and green bottles let in more UV light which is the prime contributor to your beer getting skunked. Lastly, make sure you wash your bottles thoroughly to remove any remaining beer prior to storing them for bottling your homebrew. The best time to rinse them is right when the beer is finished/poured into a glass. The longer you wait, the higher chance you have of mold building up in the bottles (in which case I toss them). 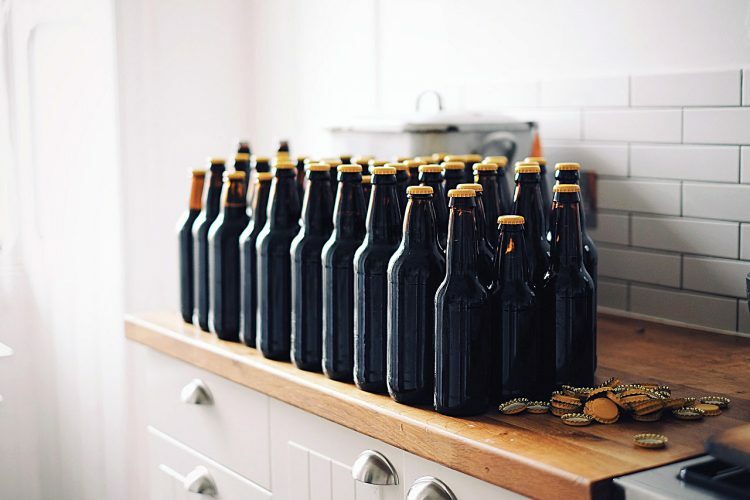 There are two common types of cappers for homebrewers. 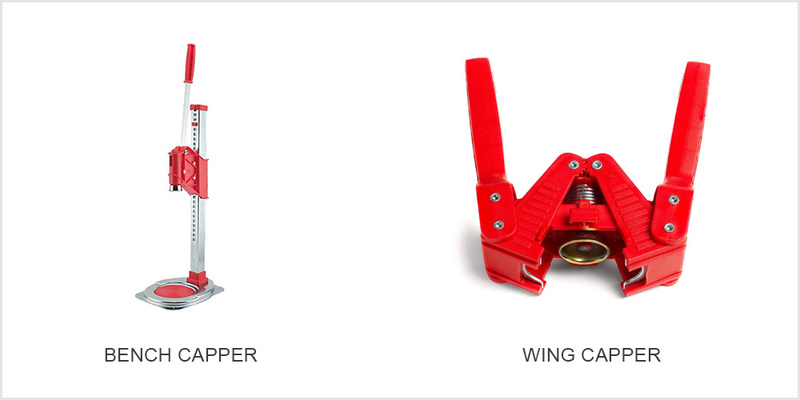 Bench cappers, which have a cup that presses the cap directly over the bottle, and wing cappers which grip the neck of the bottle and pull the cap onto the bottle. Wing cappers are a bit cheaper at around $15 and bench cappers run about $60 and up. You can reuse bottles, but caps are single use. They are however incredibly cheap, and can be purchased at any homebrew supply store, or online. There are typically two types of crowns available. One has an oxygen absorbing lining and the other doesn’t. 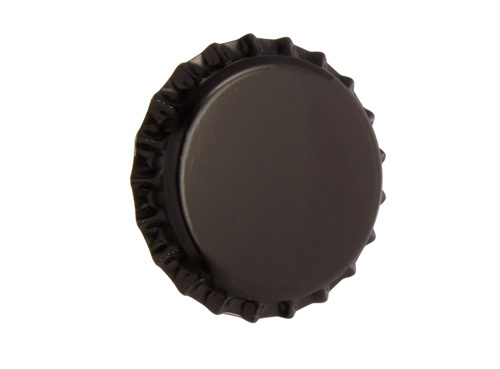 Oxygen absorbing caps help scrub the oxygen that your beer gets exposed to during non-commercial bottling processes. Oxygen exposure reduces the flavor and aroma of your beer over time. When you get your caps, you will notice the crimped edge is flared out instead of crimped inward. This is why caps are not reusable. Even if you use new bottles, you still need to sanitize your bottles and bottling equipment prior to bottling your beer from your PicoBrew system. Sanitizing your bottles and bottling equipment will greatly reduce the risk of an infection taking hold of your beer. Infections can lead to excessive refermentation in the bottle (exploding bottles), and severe off flavors. Star-San and Iodophor are the two most commonly used sanitizers for brewing purposes on a homebrew scale. In regards to process, there are two ways to prime your beer. Priming is adding sugar at the bottling step for the yeast to ferment. However, in this case, the CO2 produced by fermentation will be trapped in the bottles instead of being released from an airlock. This traps the CO2 in your beer, carbonating it. You can batch prime by adding all the sugar needed to all of the beer or prime each bottle individually. Each beer style has a range of carbonation appropriate for its style. This is measured in what’s called volumes of CO2. For beer carbonation, the range is typically 1.5 – 4.5 with a few outliers making up the higher and lower ranges. 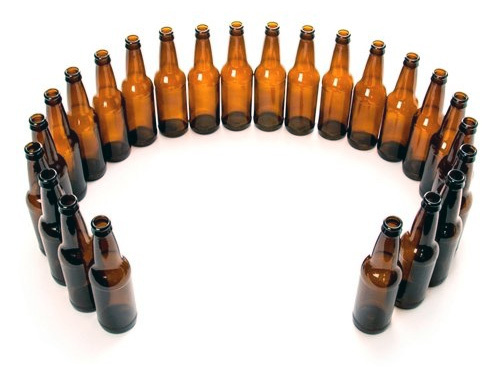 Most beers fall within a 2-3 volume range. You can use a calculator to determine how much sugar you need. When beer ferments, CO2 is produced, and most of it leaves solution. But thanks to chemistry, the amount that leaves vs the amount left behind is determined by the highest temperature the beer reached during fermentation. A safe guess is 2-4F higher than ambient fermentation temperature. Since we’re looking for the total volumes of CO2 in our beer, we need to use the residual CO2 in our calculation. Here is a rough chart. Now subtract your suspended volumes of sugar from your target volumes of CO2. Let’s say we’re shooting for 3.0 volumes of CO2, and our beer was at 72F at one point. So we need to add enough sugar to add 2.21 volumes of CO2 via refermentation. 0.54 X 2.21 X gallons of beer. Depending on which PicoBrew system you have, you are looking at one or 3 gallons. So the math there comes out to 1.19oz or 3.58oz respectively. Batch priming involves the calculations above. Once you have the amount of sugar you need, dissolve it in a bit of warm water and slowly pour it into the beer. Let it incorporate for 30 minutes, and don’t stir. Since you fermented in the keg, there will be sediment (called trub) at the bottom that you don’t want to disturb. Once the sugar solution has had time to incorporate throughout the beer, you’re ready to bottle. If you aren’t batch priming, disregard the calculations above and just add a raised teaspoon of sugar to every bottle. One gallon is about 10-12 bottles. This gets a lot more tedious as the total volume increases but is good for 1-2 gallons. Bottling directly from your PicoBrew system will be slightly different than the process involved in bottling a traditional homebrew batch. Once either your batch is primed, or you have your sugar added to individual bottles, charge the PicoBrew keg with CO2. Run beer into a cup until it is not spitting out sediment. Then begin to fill your bottles to about 1 inch from the top of the bottle. Avoid splashing as much as possible to reduce oxygen exposure. After all of the bottles have been filled, place caps on top of the filled bottles and crimp down with your capper. Store your bottles in a dark, room temperature area, for 1-2 weeks to allow re-fermentation to take place. After this period, your homebrew can be transferred to the fridge all at once, or in stages. Look to allow bottles to refrigerate for at least 24 hours after the 1-2 week waiting period. This will allow the beer to absorb more CO2 created during the conditioning process. After you’re done bottling, your PicoBrew system will be ready for another batch, and you can have a nice pipeline of homebrew on hand at all times. Can you bottle using the air-forced method like you would use to rack the serving keg? Do you have to use CO2 to bottle? Hi Jonathon – No, the air-forced method that your Pico uses when racking is way too quick for transporting the small amount of beer needed for each bottle, and it doesn’t have an efficient or quick way of stopping when you’re near the top. Using CO2 offers a lot more control to get a slower flow. What if your bottling into 22oz bomber bottles and want to individually prime. What would the sugar measurement increase to? Thanks! What if you’re bottling into 22oz bomber bottles and want to individually prime. What would the sugar measurement increase to? Thanks!